How are Structured Cabling standards developed? Standards are the framework that allows the sustained growth of a structured cabling platform. Adherence to industry standards specifies a threshold of performance capability and ensures the interoperability of components provided by industry manufacturers. Standards are developed as a collaborative process that includes manufacturers, users, consultants, and others under the guidance of organizations such as TIA and IEEE. Members of standards committees bring differing perspectives to the process, but the resulting standard provides a solution that is accepted by the industry and provides guidelines for network planners and installers. Once the cabling requirements are standardized, only then can applications be defined that will operate over them. Standards projects and technical documents at TIA are formulated according to the guidelines established by TIA Engineering Committee Operating Procedures (ECOP) and the ANSI Essential Requirements. Potential projects are initiated by a technical contribution to one of the engineering committees or subcommittees from an individual or company requesting the creation of a new standard or technical document in a particular area of technology. 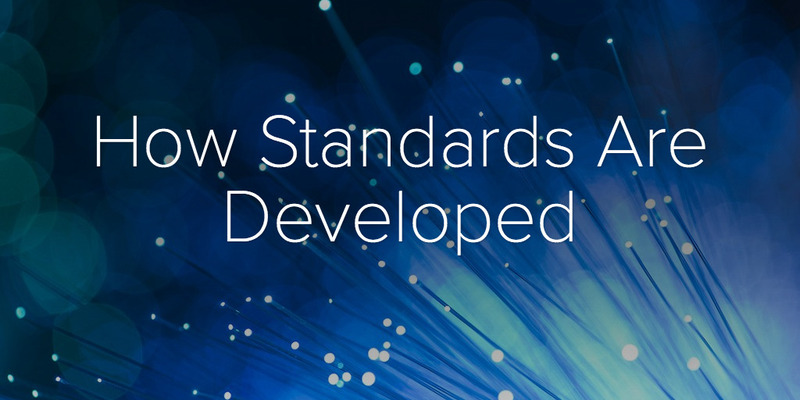 Developing a new standard can take anywhere from a few months to many years (the TR-42.9 subcommittee, for example, worked for more than 10 years on an industrial cabling standard). Standards are living documents, which must constantly be revised to reflect emerging market needs. ANSI mandates a maximum 5-year lifespan for standards, after which they must be revised, re-affirmed or withdrawn. During that lifespan, many addenda may be added to keep the document growing with advances in technology. These addenda may then be incorporated into the new revision of the standard.